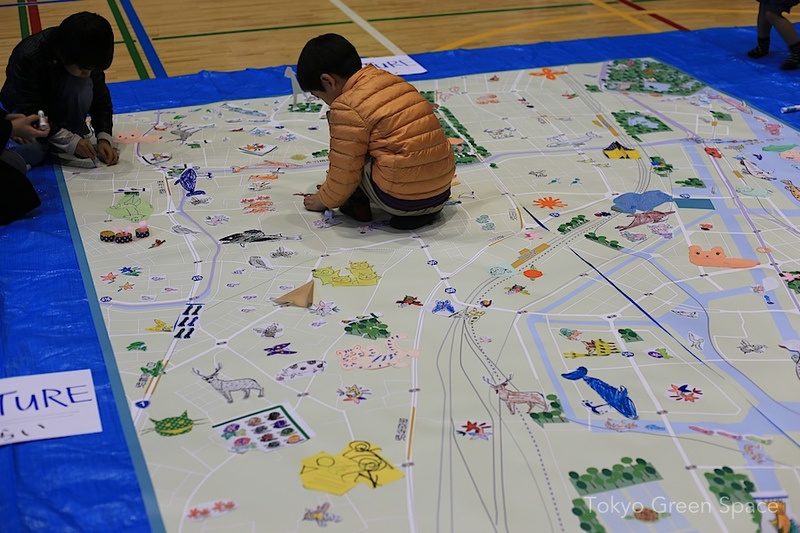 Making a giant green map with pre-schoolers in Shibaura. Kids still enjoy drawing with pens and markers. 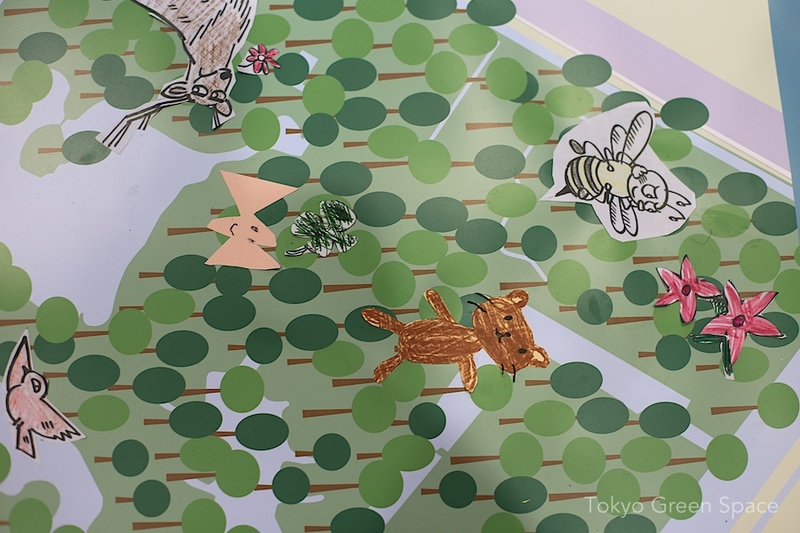 Recently I conducted a kids art workshop at Shibaura’s public elementary school. 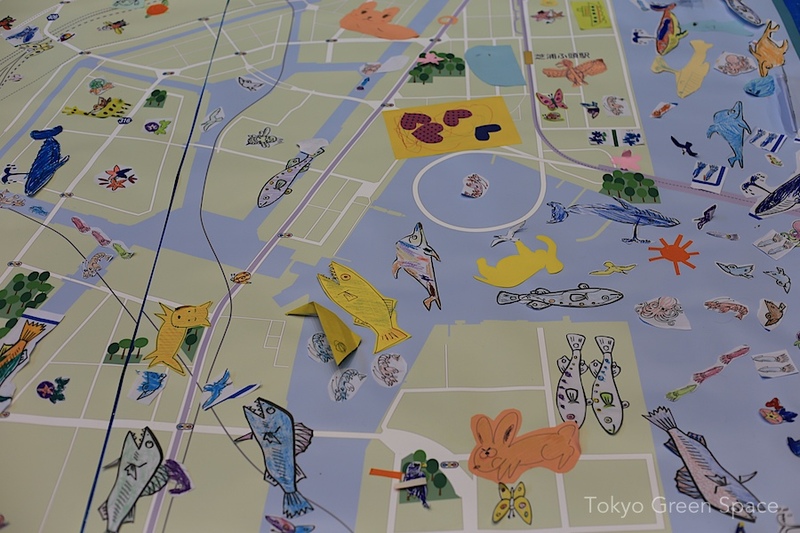 The free event was organized by Mitsui Fudosan, Recruit, and Neighbors Meeting, which printed this cool map of Shibaura. 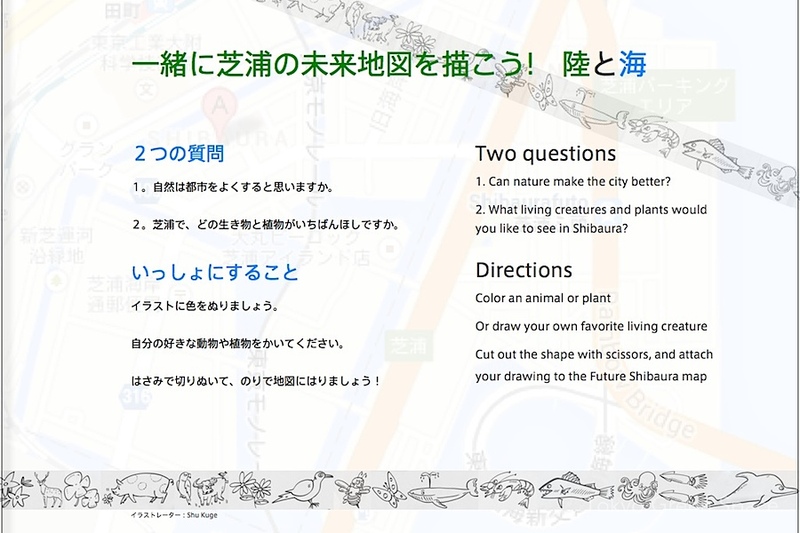 We asked kids to draw an animal or plant and add it to the map. There were several surprises. Many of the kids who participated were two to four years old. They loved the coloring book of land and sea creatures created by Shu Kuge. 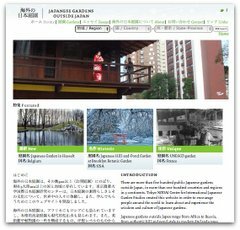 On the Shibaura map, the kids were drawn to the water, both Tokyo Bay and the canals, as well as to the existing parks. One kid made his own Tokyo Tower and folded it so that it would stand vertically. The other surprise is that kids still enjoy coloring and drawing. The event was billed as a celebration of future city, and our workshop competed for attention with a very cool pedal powered, ride-on-top shinkansen, a 3D printer, solar-powered remote control cars, and iPad games. ← Finally, we can see the sky from our apartment. Scaffolding and net for painting are gone.